The appearance of your commercial building affects the credibility of your business. Ensure that your floors are up-to-date with commercial floors in San Antonio from Fast Floors of San Antonio. We carry a wide selection for you to choose from, including a number of styles and textures that complement your commercial structure. For our full list of products, please contact us or visit our showroom today! Trust in knowing that our flooring company provides you with the quality and quantity you need at the lowest prices in San Antonio. Our flooring showroom has a great selection of commercial-grade flooring products from today's leading manufacturers, ensuring that you get the best deal for your dollar. Plus, we offer several flooring options so you get the flooring material you need when you need them. 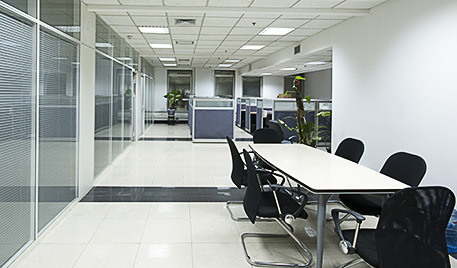 In addition to our wide selection of office flooring, we offer commercial flooring installation in San Antonio and surrounding areas. Plus, we offer senior discounts and free estimates so you can plan ahead and let us take care of all your flooring needs. Fast Floors of San Antonio is San Antonio's comprehensive commercial flooring source! Our owners have more than 30 years of experience and are here to help you find the right type of flooring for your commercial space. No matter what time of company you own, medical practice, restaurant, daycare, Fast Floors has San Antonio's best commercial floor selection. Call us today at (210) 787-5626 or visit our flooring warehouse to browse our selection of commercial floors in San Antonio. We proudly serve clients in San Antonio, Helotes, Stone Oak, Leon Valley, Alamo Heights, Balcones Heights, La Cantera, the Dominion, Rolling Oaks, Universal City, and Converse, TX.